Deleting an empty directory is easy in Java, just use delete() method of java.io.File class, but deleting a directory with files is unfortunately not easy. You just can't delete a folder if it contains files or sub folders. Calling delete() method on a File instance representing a non empty directory will just return false without removing the directory. In order to delete this folder, you need to delete all files and sub directories inside this folder. This may seem cumbersome, but unfortunately there is no method which can delete directory with files in Java, not even on Java 7 Files and Paths class. So there is two choices, either you write your own method to recursively delete all files and folder before deleting a directory or alternatively you can use an open source utility library like Apache Commons IO which will do this for you. BTW, If you have to do this without using any third party library than you can use the example shown in this tutorial. You know what, I have asked this question couple of times to Java developers and only 3 out of 10 knows that you cannot delete directory with files in Java. I am not surprised because this is the kind of detail which is not obvious. Until you do it, you don't know this. Java isn't able to delete folders with data in it. You have to delete all files before deleting the folder, as shown in first example of this tutorial. Java 7 got much better with files and directory support but there also unfortunately no direct method to delete a directory with files. Though, In JDK 7 you could use Files.walkFileTree() and Files.deleteIfExists() to delete a tree of files. Primary method to delete a file or directory in Java was File.delete() method form java.io package. This method can be used to delete a file or a nonempty directory but fail silently when it comes to deleting folder with files. If you ignore return value of this method, which is false if it failed to delete directory then you will never know that whether your program failed to remove some directory and I have seen many developers hit by this bullet. Thankfully, JDK 7 added another delete() method in Files utility class to delete file and directory, which throws IOException when a file cannot be deleted. This is really useful for troubleshooting purpose e.g. to find out why a file cannot be deleted. There is one more similar method, Files.deleteIfExists(), which is slightly more readable than original delete() method from File class. Now coming back to our original question, how to delete a folder with files or sub folder inside it. Well, we need to write a program which can recursively check all files and folder and delete them before deleting the top level directory. In this example, I have create a directory structure with one directory containing a file and a sub-directory containing another file and tried to delete the top directory using our method. In this program, I have two overloaded method, deleteDirectory(File file) and deleteDirectory(String path) to demonstrate the right and wrong way to delete a directory in Java. The method which accepts a String argument, first print all contents of directory without printing contents of sub directory and then just call delete method on the directory we want to delete. This method cannot remove a non-empty directory, so it failed and return false which is captured in method. The right way to delete a directory with files is to recursively delete any sub directory and files inside it, which is demonstrated in deleteDirectory(File) method. This method first check if the given File instance represent a directory, if yes then it list all files and sub directory and recursively call the same method to delete each of them. This allows program to remove files inside a sub folder before removing it. Once everything inside given directory is deleted, it proceed to delete the given folder. * two/ cde.txt and we will try to delete top level directory one here. // which has files inside it. // you need to first delete its files or contents. That's all on how to delete non empty directory with files in Java. As you can see in output that method which takes String path is not able to delete our directory with files "one", instead it failed, while our second method has recursively deleted everything inside this top level directory, you can see files are deleted before directory to make them empty. I have not tested this code heavily but it should work on all Java version starting from Java 1.2. It is not using any JDK 7 method e.g. Files.delete() or Files.deleteIfExists() so you can use it with Java 1.5 and Java 1.6 as well. Just remember that you cannot delete a folder with files in Java without removing everything inside it. @Saral, thanks. 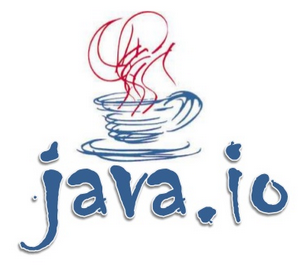 Indeed Java 7 has added support to visit files based upon visitor pattern, which could be used to recursively copy, move or delete non empty directories in Java. Thanks for sample program.